scheme, should they wish to do so. That policy is reflected in the Common Travel Area. The government uses this term to mean much more than passport-free travel in the British Isles: it also encompasses the idea that Irish people “are treated as if you have permanent immigration permission to remain in the UK”. That includes the right to vote, work, claim benefits and use the NHS. There have been concerns that the actual law, as expressed in primary legislation (Acts of Parliament) did not live up to this intention. An earlier version of this article canvassed these concerns in some detail. The basic concern that the exemption from immigration control in the Ireland Act 1949 no longer did the intended job because of the fundamental shift in the immigration regime brought about by the the Immigration Act 1971. 1/ As this has come up again, here is my explanation (originally from 31 July 2017) of why the Ireland Act 1949 is insufficient to guarantee a special immigration status for Irish citizens in the UK. This change was partially remedied by section 1(3) of the 1971 Act itself, which protected Irish citizens from immigration control if they enter the UK directly from Ireland. But this did not exempt them from deportation nor cover Irish people who arrive in the UK from a country other than Ireland. This did not much matter, however, given that government policy is settled and underpinned by EU free movement law. Brexit brings this possible legal loophole into the open. With the end of EU free movement imminent, Irish citizens would be vulnerable to a change in UK government policy if not protected by legislation. The government has now brought forward the Immigration and Social Security Co-ordination (EU Withdrawal) Bill 2017-19. Clause 2 of the Bill will will resolve the immigration status of most Irish citizens. Whereas Irish citizens were going to have to rely on the policy of the UK government to maintain the Common Travel Area, once the Bill passes there will be certainty that the government will abide by it. An Irish citizen does not require leave to enter or remain in the United Kingdom, unless subsection (2), (3) or (4) applies to that citizen. As Professor Bernard Ryan says, this “will give the UK’s historic policy and practice concerning Irish citizens a legislative guarantee”. The major exception to this is for Irish citizens who commit crimes. The government’s longstanding policy is that Irish citizens will only be deported in exceptional circumstances. In practice, nobody has been deported to Ireland in the past three years at least. However, the new Bill does not propose to exclude Irish citizens from the automatic deportation regime. The UK Borders Act 2007 requires the Home Office to deport anyone who has been convicted of an offence and sentenced to more than 12 months’ imprisonment, regardless of whether the government actually wants to deport the person. The only exceptions after Brexit will be when deportation would breach the Refugee Convention or the Human Rights Act 1998. Therefore, unless the Bill is amended, after Brexit the government will be forced to deport all Irish citizens who are sentenced to 12 months’ imprisonment, even though its policy is only to deport in exceptional circumstances. The legislation trumps the administrative policy. The Bill does not address other EU free movement rights that currently exist relating to employment, education, health and social security. Some of these are covered in arrangements relating to the Common Travel Area, but this is not comprehensive and is patchy. These concerns are canvassed in much greater detail in an November 2018 report on the Common Travel Area, commissioned by the Irish and Northern Irish human rights watchdogs. It says that while Irish citizens are in practice able to work, vote, access education etc in the UK due to a patchwork of existing laws and policies, these rights would benefit from being put into an international treaty. The authors recommended a comprehensive Common Travel Area treaty that put all the rights of Irish citizens in the UK (and vice versa) into international law. Failing that, they said that bilateral agreements between the UK and Ireland on specific issues would be better than nothing. Since then, a new UK-Ireland social security treaty has been published and Parliament’s human rights committee says that other work like this is underway. Hopefully this will ensure that there are no practical problems for Irish citizens post-Brexit. 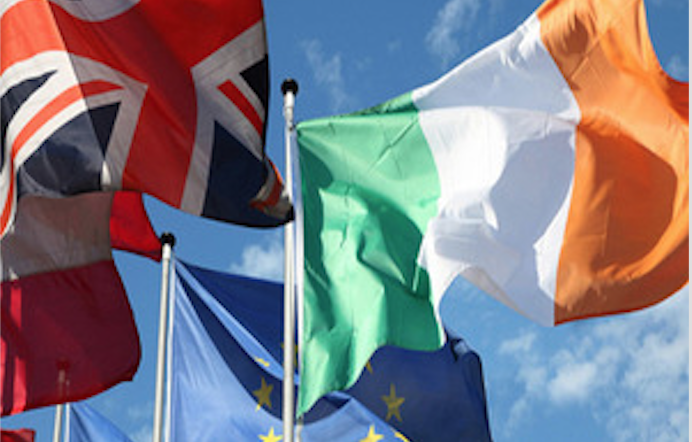 Irish citizens may wish to apply for settled status if they think it is a realistic possibility that the UK government would change its law or policies to deprive them of Common Travel Area rights in the absence of a binding treaty. Some legal experts, including one of the authors of the November 2018 report mentioned above, have recommended this course of action. In particular, Irish citizens with non-European family members may find that applying will help their family member’s application. The non-EU family member of an Irish citizen can apply for settled status without the Irish citizen applying, but would have to show that the Irish citizen would have been granted settled status if they had applied. Irish citizens from Northern Ireland do not have this option, however. The settled status scheme is not generally open to dual European/British citizens (with an exception that’s not relevant here). That affects Irish citizens who were born in Northern Ireland, as they are automatically born British under UK nationality law. This article was originally published in July 2018 and has been updated so that it is correct as of the new date of publication. CJ McKinney contributed.